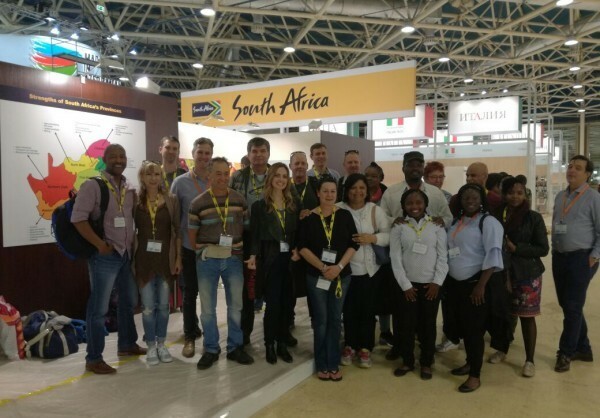 A 20-member South African business delegation has arrived in Moscow, Russia for the 2017 WorldFood Moscow International Food Exhibition that is scheduled to take place from 11-14 September 2017 where they will be showcasing South African made products. The companies whose participation is made possible by the Department of Trade and Industry (the dti) through its Export Marketing and Investment Assistance (EMIA) scheme will from tomorrow proudly showcase their South African products to more than 28 000 trade visitors that are expected to attend the exhibitions coming from 78 Russian regions and 89 countries. Julian Abramson of Fynbos Fine Foods said upon his arrival in Moscow that he was looking to collaborate with high-end stores to take-up their preserved and pickled finest produce and products that they grow, dry, smoke and ferment for the local and overseas markets at their Western Cape premises. According to Abramson, Fynbos saw the exhibition as an opportunity through which they can tap into the Russian market. Chelsea King of Robinson Wines says her company previously participated in the Investment and Trade Mission to Russia in 2016 that was organised by the dti and they have since started to export their wines to Russia due to their participation in the mission. “Our participation in this international exhibition is an opportunity to expand our presence in Russia and attract more clients from other participating countries,” said Abramson. According to the Minister of Trade and Industry, Dr Rob Davies, the objective of the South African participation in the exhibition is to promote South Africa’s agro-processing and wine industries in order to consolidate and expand market presence of South Africa in Russia. He adds that this will also generate greater returns for the South African agro-processing and related industries at the show and within the Russian market in alignment to the dti’s Market Diversification Strategy.